Love horses? Show it with this pocket-sized book of sticker spot-it fun! Carry it on country walks or watch riding sports on TV, and see just how many of the horses you can spot! 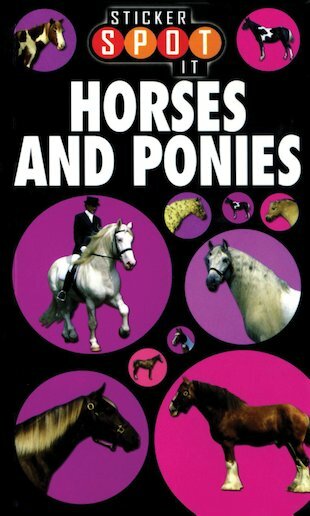 In this glorious little book, you can learn about all kinds of horse and pony breeds: some cute, some proud, some fast, some elegant – and some that nobody can tame! From the classic Arab to the hard-working Clydesdale, and from the sturdy Pinto to the wild Przewalski horse, slip it in your pocket and start spotting!